Anyone who's been hanging around Hunker HQ lately has probably noticed a few of us dancing around singing, "We're so excited and we just can't hide it!" à la The Pointer Sisters. Why? So glad you asked. ICYMI the Hunker House, our IRL space located in Venice, California, is finally here and boy oh boy is it stunning! (We're not biased or anything.) The trilevel loft is bursting with beautiful design from some of our favorite brands, artists, and makers, but one piece in particular definitely stands out from the home decor crowd. 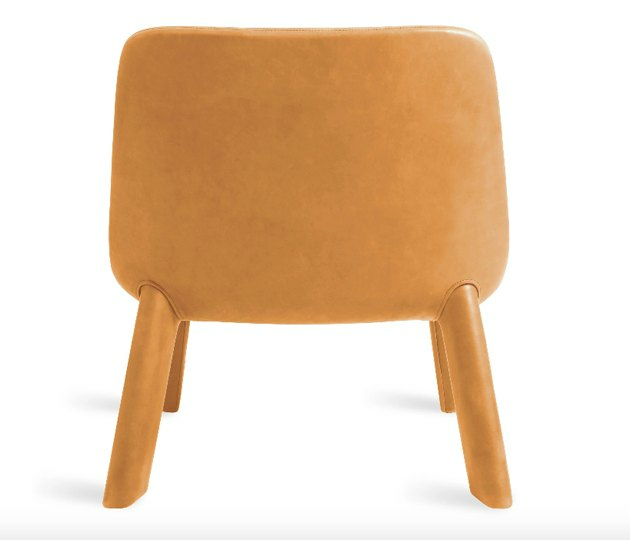 Enter the Neat Leather Lounge Chair by Blu Dot. The beauty of this piece lies in its understated design. Without any bells and whistles, this chair manages to make an impactful statement thanks to impeccable craftsmanship. 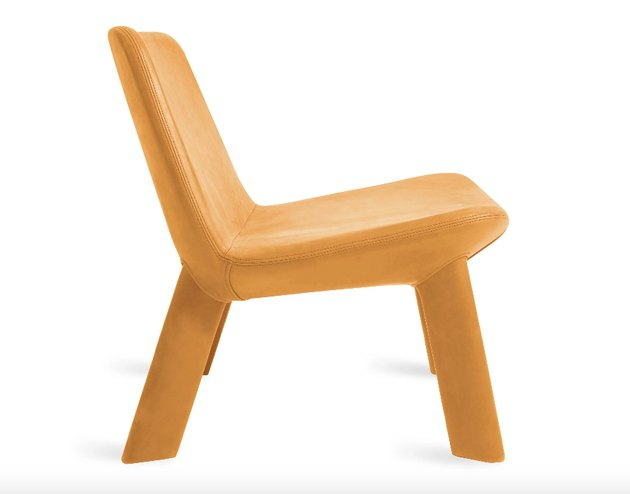 The entire chair — from back to seat to legs — is completely upholstered, wrapped in polished aniline leather. And since no two hides are alike (each featuring unique characteristics typical of leather — such as variation in color and scars), that means that no two chairs are alike. Additionally, the material will continue to patina over time only adding to its rich character. We know what you're thinking: Good looks are great and all, but how does it feel? Close your eyes. 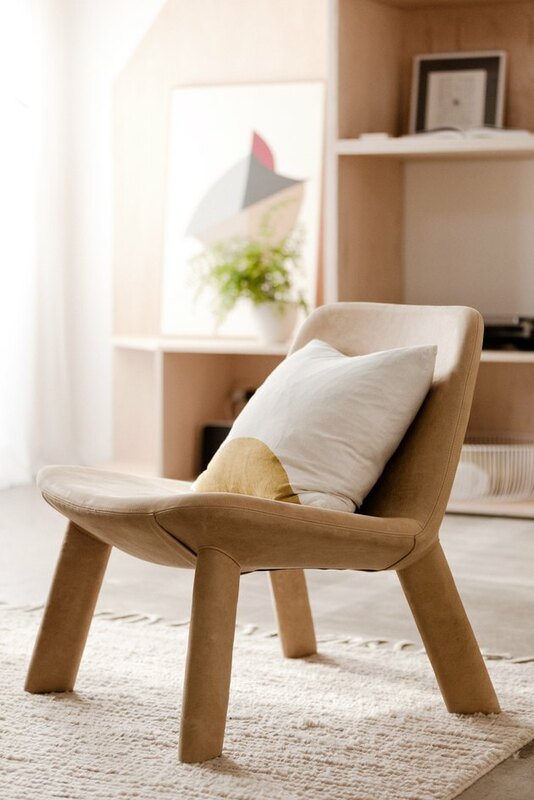 Just imagine a hybrid between a lounge chair and an accent chair, and that's exactly where this camel-hued number lies. It features a padded frame and a contoured back and seat that make it uber-comfortable to sit in for hours at a time while hanging out with friends, indulging in good drinks and great conversation. Ahhh, is it happy hour yet? Sadly, the age-old expression "the best things in life are free" does not apply to this piece of furniture. While it's true, this lounge chair is a little on the pricier side. But you can allay some of your budgetary concerns knowing that this will be a good investment, and not just a disposable piece that you'll be ready to toss in a year or two. It's a neutral staple that will work with just about any palette and aesthetic, which means that you can cherish and enjoy this gem for many years to come, even as you and your style continue to evolve.